Each year, Strategies For GrowthSM (SFGSM) conducts a series of Benchmark Surveys among its outreach community of more than 29,000 global services professionals. Total responses for the 2017 Field Service Management Benchmark Survey are 419, of which 43, or just over 10%, are classified as Best Practices Field Service Organizations (FSOs) (i.e., those attaining 90% or higher customer satisfaction ratings, and 30% or greater services profitability). This represents the respondent base upon which the remainder of this paper is based. 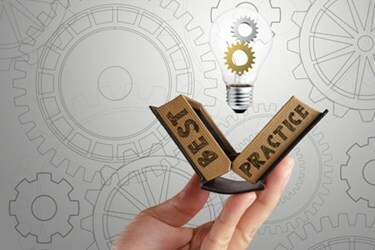 Best Practices Field Service Organizations (FSOs) may be defined as those attaining 90% or higher customer satisfaction ratings, and 30% or greater services profitability.